Is your child up wheezing at night with sinus problems? You might already know that crawl spaces are naturally damp and moist. What happens is that moisture from the water table seeps up and the air in the crawl space becomes humid. 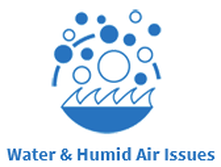 It’s a perfect breeding ground for mold, mildew, and harmful bacteria. When mold grows it begins to shed spores that enter your home from below – right through your floors. The mold floats around in the air in your home. 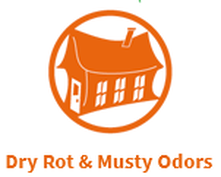 Did you know that 30-50% of the air in your home originates in your crawl space and basement? This is the air that you and your family breathe in every might while you’re lying in bed sleeping. It often makes people sick and causes breathing issues, exasperates asthma, and can be the root cause of sinus difficulty and infections. Is this why my children have breathing issues and sinus problems? Is the air in my home starting to make my family sick and I don’t even know it? How long can I tolerate living with moisture and mold in my home? If I don’t fix this what are the negative consequences of continuing to live with mold and mildew in my home? How does this impact the value of my home? How do I fix this and how much will it cost? It’s time to call and schedule your FREE on-site consultation. 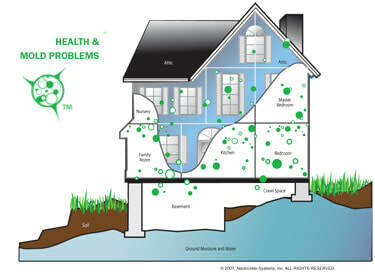 We know every home is different and many variables affect how unhealthy a crawl space becomes over time – things like the size, where it sits in relation to the water table, how the crawl space has been insulated and vented – all come into play when assessing not only what damage has already occurred but also what needs to be done to fix it. ​Contact us at 888-799-9997 and one of our customer care professionals will come out and talk with you about what they find and what it will cost you to fix your crawl space. 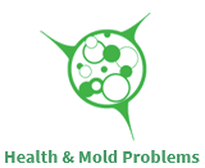 Are Mold Issues Impacting Your Health Negatively?